Mozart was born in Salzburg and although he lived for 25 years in this city, the final ten years of his short life were spent in Vienna. It was in Vienna that many important events took place that shaped his later life. 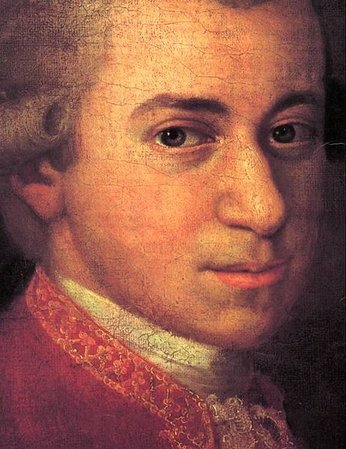 Fans of Mozart can do a self-guided Mozart Vienna Walking tour, tracing the footsteps of this musical genius. In 1781, whilst on a visit to Vienna with the Prince-Archbishop Count Colloredo of Salzburg, Mozart had a row with the Archbishop and resigned his commission. He decided to stay in Vienna where worked his way up from an unemployed artist to a respected and prosperous pianist, composer and music teacher. Mozart got married to Constanze at St. Stephen’s Cathedral in Vienna and his six children were born here. It was in Vienna that he composed many of his best-known operas, symphonies, piano concertos, sonatas, sacred music, including his most important works: the unfinished Requiem. Sadly though, it was also in Vienna that Mozart died in 1791 and was interred at St Marx Cemetery in a modest funeral. This Mozart Vienna Walking tour, published by Vienna Tourism, can be done at any time of the year, but if you happen to be in Vienna at the end of January, it is a nice walk to do to celebrate Mozart’s birthday anniversary on January 27th. Graben 17 – It was here in the former house at number 17 that he completed the Haffner Symphony and The Abduction from the Seraglio. Theater an der Wien – This theatre was only opened after Mozart’s death, in 1801. The walk ends at St. Marx Cemetery where Mozart was buried in a common grave. You should equip yourself with a city map which can be obtained from the Vienna Tourist Office. The Vienna Card will also be a useful companion on your Mozart walk as it includes 72 hrs. of free travel on public transport, as well as 210 special offers for museums and sights, theatres and concerts, shops, cafés, restaurants and wine cellars. For more information about the sights and the events in Mozart’s life in connection with these locations, print a copy of the Mozart Walk in Vienna HERE. For Mozart fans, one of the most enjoyable things to do in Vienna is to experience a Mozart concert in the city where he lived. See the range of Mozart concerts HERE. Visitors to Vienna have over 400 hotels to choose from, ranging from the palatial and luxurious to family-run pensions. For the complete list of Vienna hotels, see HERE.